The Spring Mount 6 Pack is very PR friendly and loves to review products for readers and spread the word about fabulous companies and products. I review family friendly products, for the crunchy and uncrunchy alike. I love to reveiw but not limited to limited to green products, cloth diapers, baby gear, things for mama or daddy, family living, breastfeeding, new baby and kids. 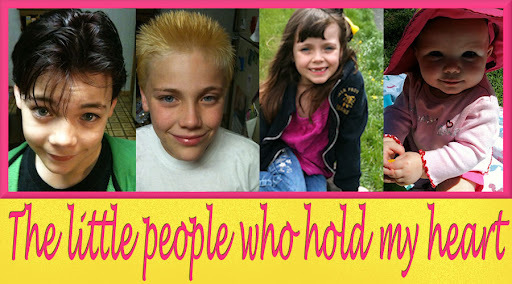 My family ages range from 10 months to 13 years old, with both boys and girls. I am happy to work with your company's needs to best promote your products. Giveaways are the most effective way to get wide spread publicity and networking; however, reviews of your products are also recommended. I would recommend coupon codes and free products with purchase as a popular way to encourage readers to make purchases. Want to advertise on The Spring Mount 6 Pack? I am selling 125×125 ad slots on my blog, and other advertising spaces. If you would like information about my rates and stats, email me.